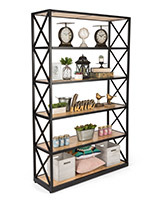 Use this rustic X frame metal corner unit to bring vintage industrial style into your home or retail store. 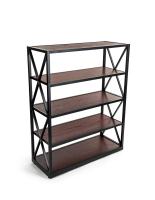 Paulownia wood with a dark stain blends well with the durable steel frame to create a modern and welcoming design. 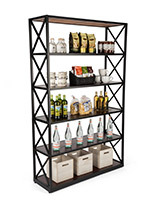 The X frame metal corner unit has 5-tiers that provide ample space for retail store merchandising items, apparel or decoration. 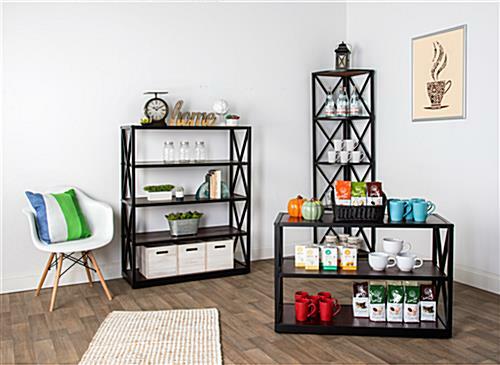 Included floor levelers ensure that the vintage industrial display remains sturdy. 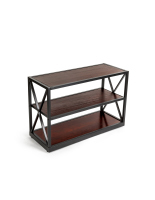 A dark wood stain complements a variety of decors and adds a welcome feel to any modern retail space or residence. 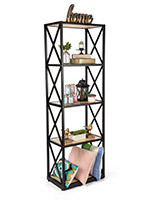 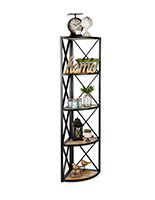 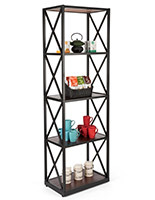 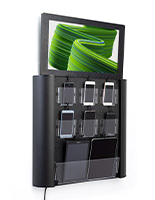 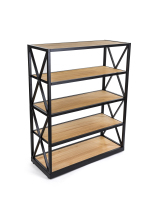 This X frame corner unit is a trendy must-have for your home or boutique!